Mike’s passion for music began at a very young age while combing through his dad’s extensive record collection. After years of spinning at local clubs and countless hours of refining his craft in the studio, his breakthrough came in 2011 with his original production “Pretty Woman”. Released on Tomcraft’s Great Stuff, it reached the top of the Beatport charts and was supported by the biggest names in the industry like Carl Cox, Marco Carola and Pete Tong. Right after that Mike further strengthen his name as an in-demand remixer, reworking Pleasurekraft’s “Anubis” among other projects. The next big step in Mike’s career came in 2012, when he remixed Prok & Fitch’s “Symphony” for Stealth Records, which hit #1 on Beatport’s House chart and stayed there for two weeks. To build on that momentum the label further released Mike’s original production “Don’t Give A Damn” (ft. Stella Mercury), which peaked at #2 on Beatport House Charts. Intrigued with young Slovenian’s sound the label’s boss Roger Sanchez started booking him for his parties in Miami and Ibiza, while Mike became his regular support at gigs in his home region. After one of the gigs in Ibiza in the summer of 2014 Roger invited Mike to his studio. It took them quite a while to finish their first venture and this year they’ve finally released “That Sound” as S-Man & Mike Vale on Toolroom Trax. Stirring a lot of action they’ve already lined up the next release “Do It Well” featuring serial UK chart-topper Kelli-Leigh (“I got U”, “I Wanna Feel”, “Love Too Deep”) on vocals. This track will also feature a video and is expected to heat global dance floors deep into 2017. But this was just one of Mike’s many project he was successfully developing in recent (of) years. 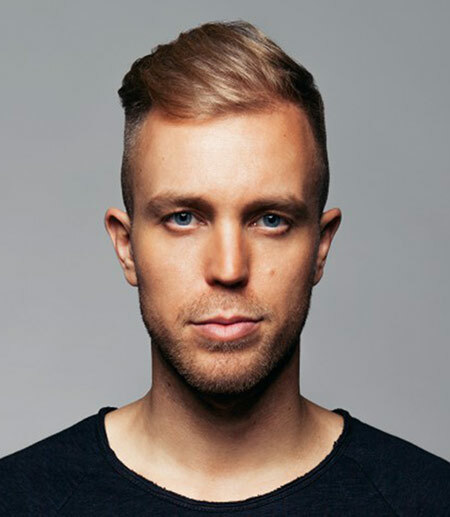 He co-produced a string of releases with fellow countryman Umek, including major club hits such as “All I Want”, “How’s Your Body” and “Hard Times” ft. Chris The Voice, rework of Chris Lake’s “Helium” and a remix of Mason’s “Exceeder” for Armada which struck #1 on overall Beatport Chart. After this intense period Mike build his new studio, which gave him a new drive for recent string of releases on labels such as Toolroom (“Common Ground”), Glasgow Underground (“Dark Rooms” and remix of Golden Boy’s “Freed” – supported by BBC Radio 1) and Undr the Radr (“Def Jam EP” with Alex Ranerro).